A 14" hand-sewn plush poodle of your very own, made of the softest fleece. 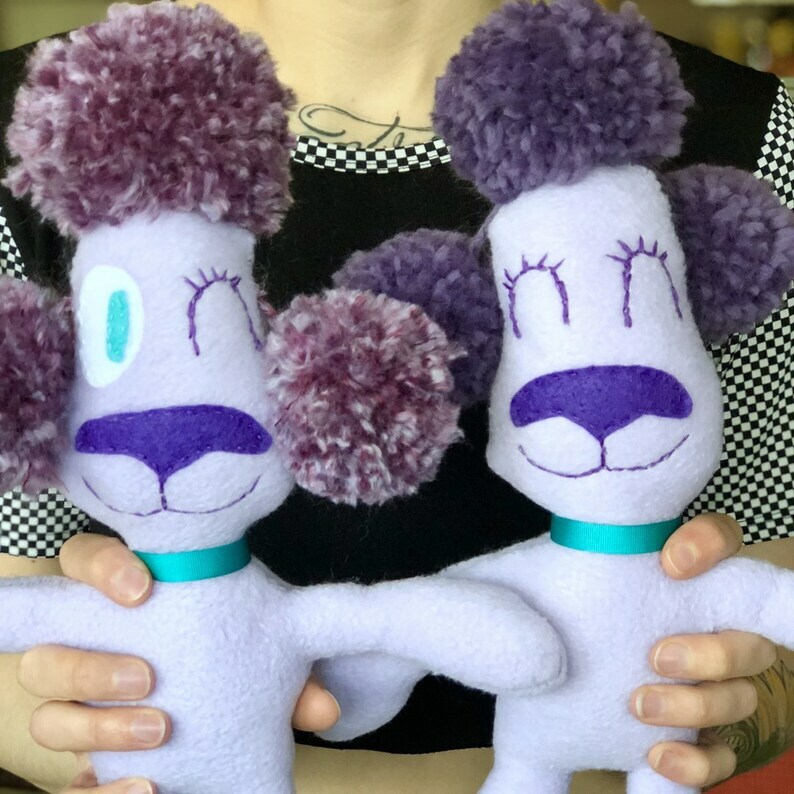 Each poodle is one-of-a-kind made locally in Seattle. Complete with poofball hair, ears and tail.